Hotels, theatres and parks throughout the city hold the darkest secrets of Atlanta’s past. Spirits continue to wander around attempting to escape the endless afterlife, but some never make it out and are left to haunt the living of Georgia. 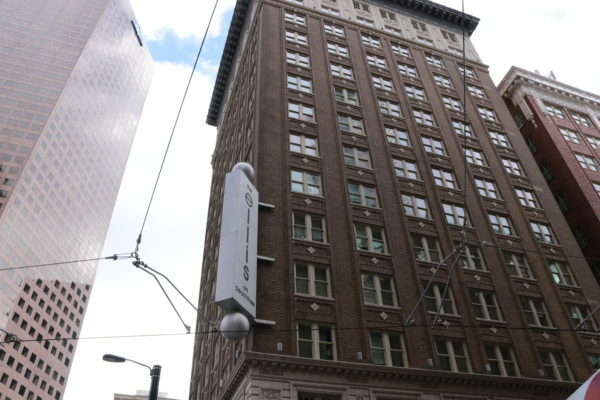 Ellis Hotel, originally named the Winecoff Hotel, while rated as the No. 2 hotel in Atlanta by Conde Nast Traveler, has a dark history following a deadly fire in 1946. The fire was so horrific and damaging that it has remained one of the worst hotel fires in U.S. history to this day. On a typical December night, the hotel randomly burst into flames, burning children, women, men and alive. While firefighters attempted to dilute the flames on each floor, saving every guest was impossible due to a lack of safety tools in the hotel at the time, so 113 guests died a violent death that night. It took a total of six hours to finally destroy the fire, leaving a mere shell of what is today known as the Ellis Hotel. To contemporary guests’ dismay, the spirits of the dead left behind in the tragedy did not escape the hotel entirely. Guests have reported people screaming hopelessly through the hallways at night, yet when they check outside their door, no one is to be found. From the outside of the building, there have been sightings of shadowy figures resembling tragedy victims that are anxiously trying to escape from the windows. The unrested spirits wander through the hotel nightly, sometimes even setting off the fire alarm in the reconstructed hotel around 3 a.m., the exact time the catastrophic fire broke out in 1946. Not convinced the hauntings are true? Spend the night at the haunted hotel to see for yourself. 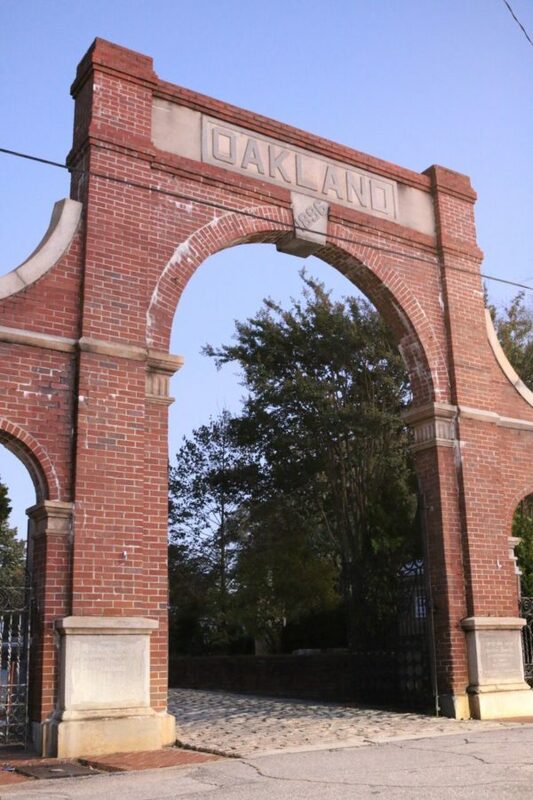 Oakland Cemetery, located only five minutes from the Georgia State Downtown campus, is home to countless Confederate soldiers, famous Atlanta natives and freed slaves. The cemetery is known as one of the most haunted locations in Georgia because of its lingering angered spirits and unexplainable ghost sightings. While many do rest at peace in this Victorian-style cemetery, enraged spirits continue to walk the grounds of the city, attempting to escape their endless, torturous afterlife. Unidentified Confederate soldiers compose the majority of the dead at the cemetery. Their individual stories are unexplained, but each has a form of unfinished business on Earth that makes them hungry to feed off the energy of the living. Visitors of the cemetery have reported hearing a Confederate roll call and responses from the soldiers. A man walking through the Confederate section of the cemetery during a tour even claimed to others that he heard his name called on the roll call list, sending shivers down the other tourists’ spines. The Victorian figurines resting throughout the cemetery seem to blankly stare at visitors, making the living feel as if they are being watched. During a tornado that hit Atlanta in 2008, a statue commemorating Judgement Day was blown to the ground and was said to unleash the wrathful spirits that before laid unbothered. 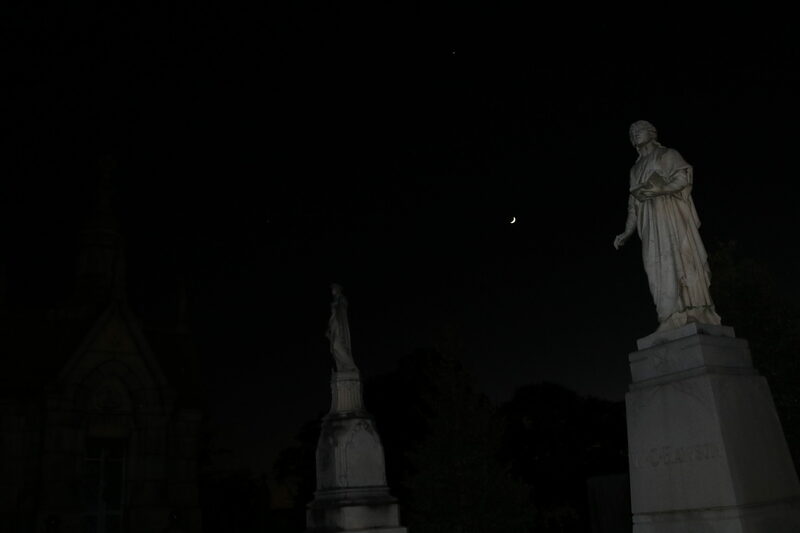 Beware when attending a ghost tour or taking an afternoon stroll through the cemetery. According to the number of ghostly sightings in the cemetery, the spirits are not afraid of being seen or heard. Some of Atlanta’s most popular venues, like the Fox Theatre and New American Shakespeare Tavern, claim you may have a run in with the paranormal when visiting. The fabulous Fox Theatre? More like the freakish Fox Theatre. The venue, constructed in 1928, is not widely known in Atlanta for being “haunted.” However, sightings of orbs—circular ghosts with the spirit of a dead person inside—throughout the theatre have left music goers and theatrical enthusiasts alike thinking otherwise. 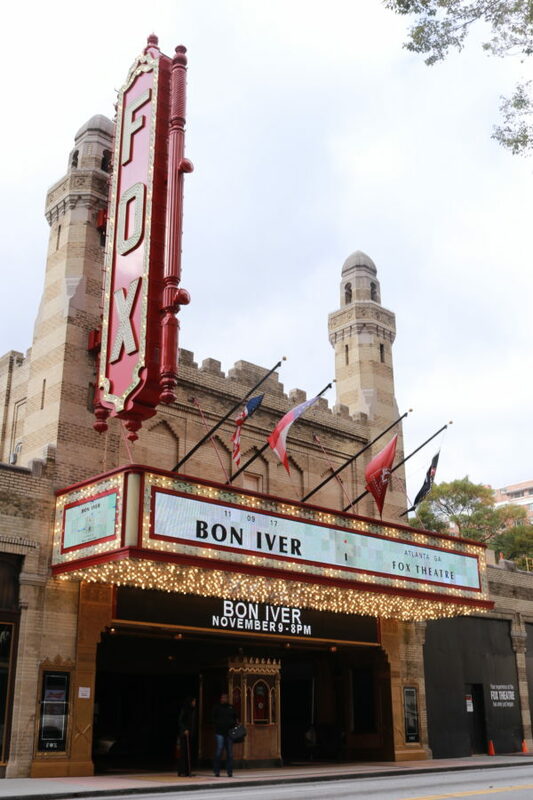 Georgia is a powerhouse for Civil War history, so it is no surprise that the Fox Theatre was once a Confederate ammunition cache. There is no guarantee on who the hauntings are coming from, whether it be deceased Confederate soldiers or the spirit of “The Phantom of the Fox,” a caretaker at the theatre for 35 years who died only a year ago. However, it is certain that by day, this venue is the ideal space for an afternoon play. Unfortunately, by night when the curtains close, the spirits come out to make their own entertainment, haunting any visitors and cast members who dare stay in their theatre past dark. 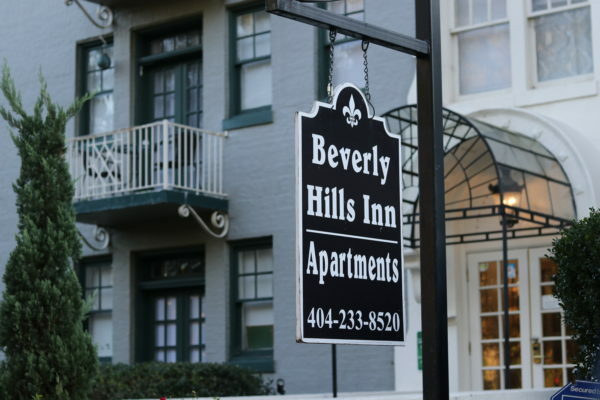 The Beverly Hills Inn—located on the outskirts of Atlanta at Historic Garden Hills in Buckhead—is crawling with infuriated widowed spirits unable to meet their husbands in the afterlife. Since it was built in 1929, the building has been the sight of a romantic Bed and Breakfast, and today, it is a private apartment complex. Throughout the years and a variety of different businesses, it is rumored that three of the widowed women still linger around the third floor nightly. Pictures taken in the rooms have unexplainable orbs floating in the background and smoky silent figures have appeared to visitors. The hosts of popular Atlanta radio show, “The Bert Show,” even attempted to stay an entire night at the inn, but failed due to the unwanted presence each of them experienced. Bert even reported feeling someone staring at him as he tried to sleep. 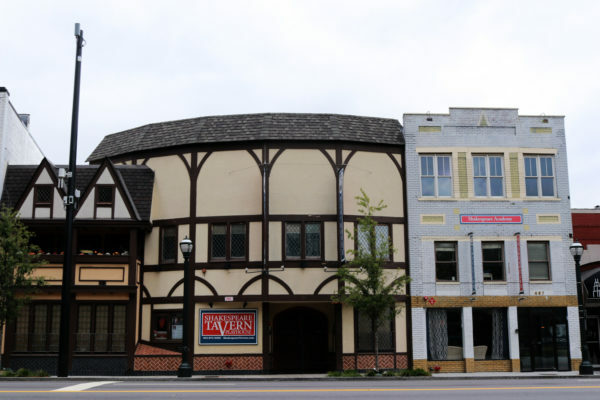 The New American Shakespeare Tavern, built in 1984, may not be as longstanding as its other haunted neighbors around Atlanta, but the ghostly curse still affects this location. Oddly, even though the tavern was built in the early 80s, the living have sighted figures dressed in period clothing. The tavern has an Elizabethan era ambiance, so it is possible the period-dressed ghosts mistake the location for the time period they lived in. An angered ghostly woman wearing this attire has been known to move stage props and has even disarranged the stage set up so it collapses during performances. A popular superstition for thespians says if the word “Macbeth” is said before a play, turmoil will erupt on stage. Maybe there is someone intentionally saying the word before every performance. Or possibly, spirits really do haunt the tavern. It’s up to brave attendees to decide—if you can stomach the truth. Depending upon your stance on superstitions and the afterlife, you can decide whether or not these spooky locations are truly haunted or just a fad to bring in more customers. However, I wouldn’t recommend bringing a Ouija board or tarot cards to one of these establishments. Once you open a door for Atlanta’s immortal to enter, all of the hell-bound spirits will unleash and a single irreversible mistake will haunt your life forever.